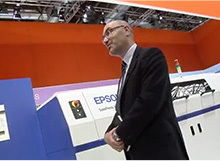 Revolutionise digital label printing with the Epson SurePress range. For label converters looking to expand their operations, the SurePress range of label presses is the perfect solution. Keep your customers happy and expand your product range and capabilities with SurePress. Deliver an accurate, high-quality product while ensuring maximum reliability, flexibility and performance, with minimal downtime. The SurePress L-6034VW delivers precise quality with maximum reliability, flexibility and performance with minimal downtime. 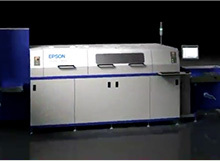 Epson has developed a press which includes our own printheads, inks and web transport system, so everything is designed to work together. 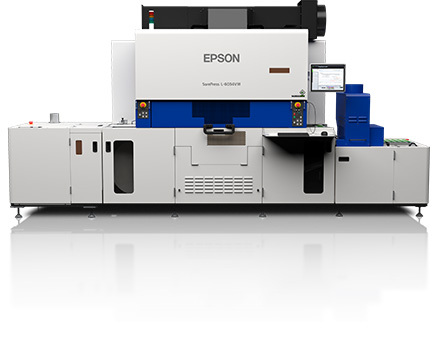 PrecisionCore linehead inkjet technology helps deliver superb, high-quality images. 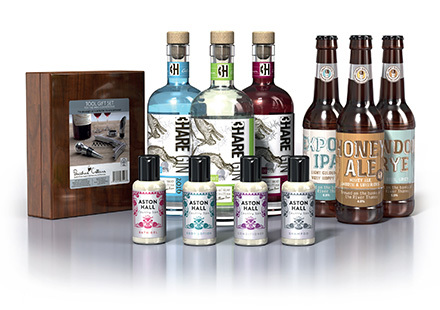 LED-cured UV ink with inline digital varnish technology opens up a diverse new range of finishes. The L-6034VW also includes a high-opacity white ink for printing on clear films and metallic substrates. The PrecisionCore linehead is the key behind the high performance and reliability of the SurePress L-6034VW. Each of the six lineheads features PrecisionCore print chip modules, delivering precise quality with accuracy and high resolution, as well as Variable Size Droplet Technology. Variable-Sized Droplet Technology was developed by Epson to produce different sized ink droplets as small as 3.2 picolitres. These precisely sized droplets allow the ink to be uniformly applied, contributing to smooth gradations and accurate colours for optimum image quality. The central drum system feeds the substrate with high precision to maintain colour-to-colour registration and accuracy. The system minimises the heat expansion or shrinkage of substrates, enabling various types to be used. 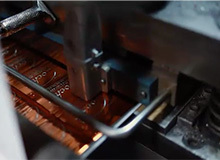 The central drum ensures the small gap between the printhead and substrate is kept to a minimum, which enables the ink to be placed more precisely onto the substrate to minimise colour unevenness. Our sophisticated pinning technology controls the spread of ink dots to achieve fine half-tones, smooth vignettes and pin-sharp detail and text. Our single pass high-opacity white ink provides the ideal base layer for printing vivid colour on clear or metallised substrates. This bright white ink also gives the ability to print opaque fine text and lines, even when printing clear labels for clear products, and offers the flexibility to print white on top of colours. With the innovative digital varnish, a gloss or matte finish can be printed selectively or overall. Attractive partial accents can even be added using matte or gloss finish to make specific areas really stand out. Different finishes are achieved simultaneously by changing the way the digital varnish is applied. The press delivers rich natural tones and high quality reversed text. Edges are straight and sharp, and bar codes are precise. The quick-curing UV ink boosts productivity and offers excellent weather, chemical and scratch resistance, that endures even under the most severe conditions. Approved under BS5609, the internationally recognised standard for labels used in marine environments. Epson's Nozzle Verification Technology can automatically check if a nozzle is working or clogged, and can initiate a cleaning cycle if necessary. The touchscreen panel is extremely simple to use with an easy-to-understand interface that keeps you in control of every aspect of printing. Job configuration can be quickly set and operating status can be readily checked at any time. Settings for specific types of jobs can be saved, so set-up is even faster the next time for repeat jobs. The ink cartridge drawer is easy to access, and ink replacement is quick and straightforward with no need to stop the press - simply replace the ink cartridge and continue printing.